I just wanted to let you know that I have updated the contact page, to be the about me page. 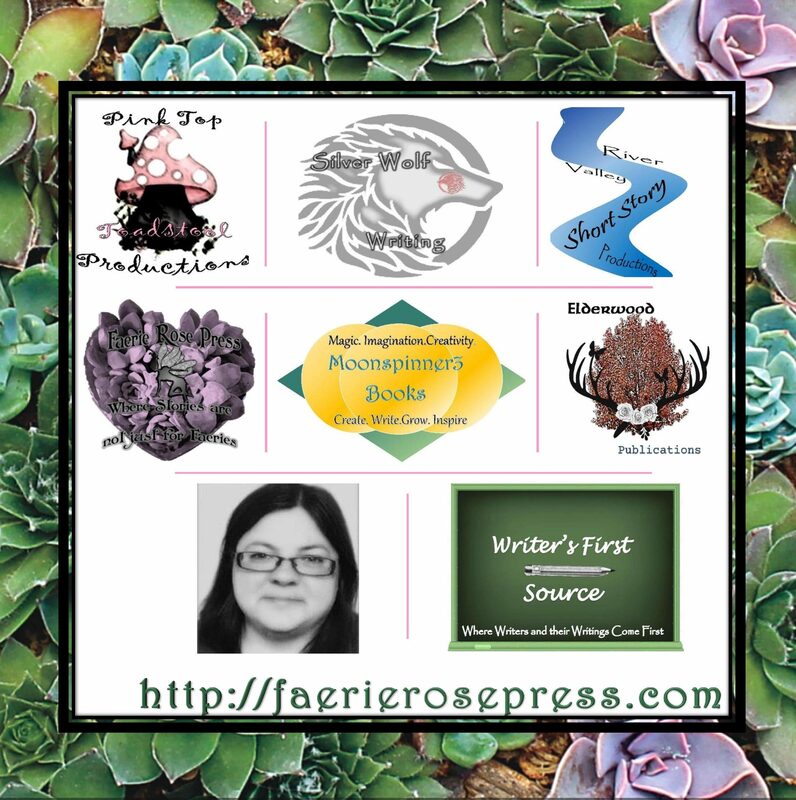 I have just spent the last couple of hours working on the page which is now called, “About Me and Faerie Rose Press.” I hope that you will go check it out and let me know what you think. I’m very proud of how it looks. I must admit that when I was first putting this site together, some of the pages like the about me page and the contact page, I rushed through getting the content on this pages. The other thing was that it was not showing the best presentation that could be put out there. I have also removed the following pages based on the updates that I have put forth on the new about me page: the faq pages, the original about pages, and the contact page (which I used to transform into the new about me page). Since I removed the pages I have added some of the info on the about me page so that it is all in one place making more simple to find the information that you are looking for. When I started this site, I stated that this was a work in progress, and that continues to be true with the new about me page. Last night, I was watching NCIS, Bull, and NCIS: New Orleans, which is CBS‘s usual Tuesday night line up of shows. There was a big theme that ran through two of the three shows and that was motivation for a character. The biggest one of the three that showed the theme was Bull. The story that Bull was showing viewers was a husband, who had ran the family broke, had been killed and his beloved wife was blamed for his death. Granted, the family that this family belonged to were rich. The only clue was a voicemail that the husband left for his wife saying that he was sorry. The prosecution was stating that the voicemail was clearing that the wife had motivation for killing her husband. Since he had gambled away most of the family wealth away and this left the family scrambling for funds. Whereas Jason Bull listened to the voicemail and interrupted it as a suicide note saying that he was sorry for he had done and no matter he could not undo what he had done to his wife and family. Further clues showed that the dearly departed hired a hitman to kill him and that he had also taken out a life insurance policy, however, if it was found out that the husband died of suicide the insurance company would not pay out the policy. However, based on this evidence that was presented to the wife, she was willing to go to jail since she knew that the insurance money that was needed for their daughter would not be paid out if it came out in court about the suicide. However, in some families, if suicide ever came out it would put a dark cloud on the family name. So there were two possible motivations for the wife’s actions, one side would argue that yes, she would go to jail and hide the truth so that her daughter could get the money to pay for school/ living expenses. On the other side, the wife’s actions would be that she didn’t want a black cloud to hang over the family name due to the manner in which her husband had died. Now, I won’t give the ending away, but I will say that should we always look for two possible solutions for how a character acts? I’ll make a case that as writers, yes, we should, for depending on how the possible solution goes we could find ourselves with a surprise, that we later reveal to our readers. We are told that we should always keep our readers guessing in that they should not know everything until the end. I totally agree with that perspective; however, we should give information to other characters so that they are also kept on their toes as to what is going on, the only change to this that I would state that there should be at least two characters that know that is going on. Well, it wouldn’t be fair for one character to hold all the cards. Wouldn’t it? There is no better example of this than in Star Wars: Return of the Jedi, when Luke reveals all that he knows about his family to Leia. Leia keeps this to herself until the very end when she tells Han, that Luke is her brother. Granted, we never find out if she tells him that Vader is her father. But we can only assume that she does at some point. Well, come one she sort of has to after all they do get married at some point. Her motivation in telling Han was simple in that she loved him and she didn’t want to lose him to his pride and that he thought that she had feelings for her brother. But on the other hand, could her motivation in telling him had been that keeping the secret was somewhat killing her? Granted, she and Han had just finished with a battle to save the Ewok population on the forest moon of Endor, and she was shot, which could have been more serious if the shot was closer to the heart. Yes, we know that it was the latter but it was fun to through in a monkey wrench in the way that you were thinking. We are always told that when it comes to crime the person must have a motive for committing the crime and that there has to be a possible motive. So why not turn the phrase that every character has a motive for they do and that motive should have two possible reasons why it is there. Furthermore, could there be two possible outcomes based on the motive that is presented? Gives you something to think about, doesn’t it? As writers, we should always be looking at motives for characters, and furthermore, no character is innocent necessarily. This morning the Oscar nominations where announced, and while most people pay attention to the categories of best supporting actor/actress, best actor/actress, and best picture, it is best to say as writers we should pay attention to the following categories: best original screenplay, best adapted screenplay, and best director. We should pay attention to the following as well as best live action short film, best documentary short subject, and best documentary feature. I’ll even throw in best picture as well as to what should be paying attention to. Granted, I usually watch the Oscars and at first, it was to see the dresses that the women would wear, and to see which stars got to take home the Academy Awards, but in more recent years I have turned my attention to the writers that are nominated in the categories listed above. As someone once said the best live action short film nominees are usually first timers to making a film, and they usually go one to make the big motion pictures. These directors and writers are storytellers. As I have mentioned on here before, or maybe I haven’t but I will now, every writer has their own unique background, and each writer chooses what path that they want to be on. But if you want to be a screenwriter, then you should pay attention to the categories of original screenplay and best adapted screenplay. Then see if you can find copies of those screenplays as well as the work that it was adapted on or based on, and study it so that you know what made them great or what you should be including in your screenplays. I know that not every writer wants to win an academy award, but I say why not? Shouldn’t we dream big with our aspirations as writers? Since every story starts at the desk of a writer, like my own or even your desk. We should dream about winning awards just like actors and actresses do but even take it a step further in that if it was not for writers, actors and actresses would probably not have a job. Sometimes even directors for that matter either depending on who the writer is. We as writers matter, and we should be paying attention to what our fellow writers, screenwriters, and storytellers are doing. When we become writers or dream of becoming writers we are told that we must read. While this is true enough in itself, I also feel that writers must all watch television and movies to get a sense of what is also possible in our chosen genres of fiction. Granted, with reading we get to use our imagination of how a setting might look or even a character for that matter while watching a television show or movie you get someone else’s interpretation of how a character might act or how a setting might look. While that being said, I really want to focus on historical, or rather period piece programming. While I’m not a fan of historical fiction, let alone historical romance, there is something about occasionally sitting down and watching a film based on the past, such as James Cameron’s Titanic, or even CBS’s Dr. Quinn Medicine Woman. I have always enjoyed being transported to another place and time, looking at the costumes and listening to the issues that they dealt with at the time. Well, last night I was watching Masterpiece on PBS which is currently running the latest season of Victoria. If you don’t know Victoria is based on the life and marriage of Queen Victoria. While I was watching last night’s episode, it was amazing to see the costumes while at the same time seeing the dynamic between some of the characters. Especially with two of them being men and having a romantic interest in each other, while that was a huge taboo back during Queen Victoria’s day, it was interesting to hear from the actors who were playing these two characters state that while there is no record of homosexuality during that time, we have to assume that it did happen. Granted, there are two takes here we all know what happens when you assume, “You make an a** out of you and an a** out of me.” But on the second account, we know that any more a lot of televisions shows are raising up the topic of homosexuality for one reason or another. But my point was much rather it was interesting to see the dynamic and how the writers chose to add this part to a historical period show, such as Victoria. Again it comes down to someone’s interpretation of what was going on during that time. However, getting back on topic, Masterpiece on PBS is also the channel that brought us Downton Abbey, which hugely popular being and was another period piece. But more often we find ourselves turning to period pieces and enjoying them like wine or a good chocolate. Why is that? The answer is simple we want to escape to another time and place. While I enjoy the occasional western or episode of Downton Abbey, I more enjoy medieval period pieces. Granted, it wasn’t all bed of roses but there is just something about the dresses that the women wore that were royalty and listening to the way that they spoke to one another, which is equally entertaining. Given that we are writers, we must pay attention to if we are writing period pieces or adding some of their mannerisms into our works of fiction. Period pieces of fiction whether they are books, movies or television programs can be a huge tool for us in our toolboxes. Furthermore, we can also research the time to make sure that we are getting the historical events, speech and other mannerisms that impacted humans accurately in our work. In the months, that I have talked about writing, the one topic that I have never touched on is why do I write? The answer for me is that I enjoy writing/telling stories. Seeing where you can take a character physically as well as emotionally. Seeing all the different types of characters that there are to explore. Being able to tell their stories is a true gift, and its an art form. A clear and precise art form that involves crafting something out of nothing. I write because I enjoy it. That may be a pure answer, but it’s true I do enjoy it. Even when I get the occasional spell of writer’s block or dry spell. But overall I enjoy it. It’s like creating entertainment that I enjoy writing as well as having someone else read it. Sure, not everyone is going to like what I have to write, but for me, if I find that one reader who cares enough or is interested enough in reading what I have to say, then at the end of the day I have done my job, and that is what makes me happy. Yes, I have aspirations of writing for a living and making money off of it, but who doesn’t at some point in their life. I just chose that time is now, while I’m still young and can learn from my mistakes. But we all have learned from our mistakes and those lessons are not easy but at the end of the day, they are my lessons to learn from. I enjoy days when I can set at my desk, write for hours and think of nothing that I’m writing at the moment. That is one of the great things that I enjoy about getting lots of snow, for that is the point of when I can’t go anywhere and I can watch the snow fall as I write by a window. This is why I write because I enjoy it. And if there ever comes a time when I don’t enjoy it, then I must be dying or I’m already dead, for I know that my lifetime of writing has been completed. The next installment of the Sheriff John Crimson stories has been released, Crimson Protection. This is the third story in the series. It is available on Amazon. The first month of 2018 is almost over, and it’s time that I give an update for the month. This month has been about writing and discovering the possibilities that come from the world of writing. Every day, I post on here about something things that I have noticed from different aspects of writing, and the biggest reasons why I do it is that I want to share my knowledge with others, which has been the biggest reason why I started on this journey last year. While this website has not been up for quite a year, I have felt accomplished in what I have learned from working on this site and working on the social media aspect as well for my business. As for the current projects, The Raven Prophecy is still a work in progress, for last month I completed the first 100 pages of the first draft and I have worked on it some more and as I have mentioned in an earlier post, my biggest goal this year is to complete the first draft of The Raven Prophecy. I have yet to work on Ravages of Time but at some time throughout the year, that too will also get its time to be worked on. In recent days I have started working on a series of stories for the Sheriff John Crimson series. The Sheriff John Crimson stories are being published under Elderwood Publications and they are a set of western stories. So far I have published two of the stories, Crimson Bounty and Crimson Shot, which are now both available on Amazon. The third story in the series I started yesterday and hope to have that one published very soon. So far I’m enjoying writing and working on the Sheriff John Crimson series, for they are allowing me to explore a different world and to explore writing westerns, which I have always had a deep desire to do. Right now the fun part about writing the series is exploring the character that is Sheriff John Crimson and the town of Harbor Gulch. I plan to work on this series throughout the year. So that is the latest update on what is going on with Faerie Rose Press. I hope that you stick around all year to see what other exciting things that will be taking place.